Lets See, The Wild Blue or Cosmo Magazine and Bon Bons? We rehearsed, we gigged, we recorded and now we can enjoy this part of the story, which is where our heroes ride off into the sunset to collect their royalty checks as they read Cosmo Magazine and eat Bon Bons. Hah, as if! It’d be too easy if it actually worked that way. Wouldn’t I miss the double codas and that dreaded viola clef? 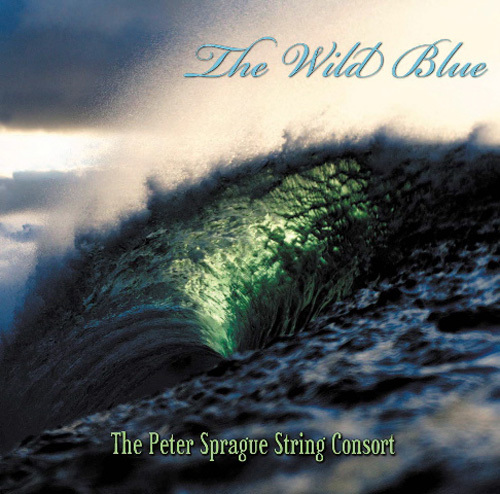 The Wild Blue features my seven-piece The Peter Sprague String Consort group. It’s a gathering of two different worlds  a group comprised of a classical string quartet and a jazz trio. We come together to explore the Brazilian samba, jazz swing and my original creations. We’ve played over 20 shows in the last 2 years and have a unique body of music that we've finally captured in my SpragueLand Recording Studio. I like the way this CD sounds! We’d love it if you’d venture off and check out the music firsthand. If you go here you’ll find more details about the recording and you can also listen to audio samples of all of the songs. Then, if it’s working agreeably with your ears, you could step out further and buy a CD or get into some downloads from my online store. Happiness will be your friend and we the band will salute you in unison. Long live SBE (Strivin’ to Break Even) Records making enough dough so we can do it again! Join the revolution! 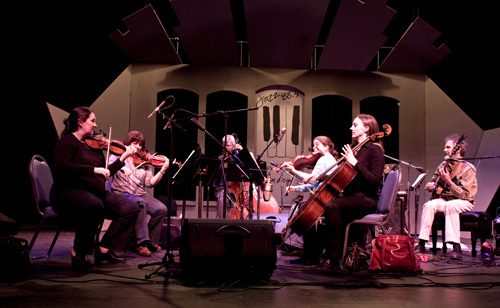 The PS String Consort stirring it up at a recent SD City College concert. And for this week vocalist Kevyn Lettau and I are playing a midday concert at Palomar College on Thursday. Later that same evening I’ll be heading off to my favorite Roxy Restaurant for some solo guitar and health food debauchery. Rounding out the week I'm playing a night of music on Sunday with trumpeter Paul Seaforth and bassist Bob Magnusson at the Tango del Rey. Good fun! Hope to see you there. Kevyn Lettau - vocals 12:30 PM Zipping over to Palomar College for a noon time hit. 7 PM Back home in Encinitas! Come and hang with some good food and I'll take you on a sonic journey of improvisation and Metheny. Bob Magnusson  bass 8:30 PM It's always fun teaming up with Paul and Bob for some jazz and creativity. Optional valet parking is $5. 6 PM to 9 PM The COMPASS Family Center is pleased to announce its 4th Annual STAR Awards event. A full program planned that includes drinks and hors d’oeurves, live music from local celebrity jazz musician Peter Sprague, an award ceremony honoring Dr. Sarita Eastman, a live auction and a raffle. Proceeds and donations will support families caring for children and adults with special needs. Kevyn Lettau - vocals 7 PM Just like the old days but we're older and wiser and more funny.